Warren Edward Buffett (born August 30, 1930) is an American business magnate, investor and philanthropist. He is the most successful investor of the 20th century. Buffett is the chairman, CEO and largest shareholder of Berkshire Hathaway, and consistently ranked among the world's wealthiest people. He was ranked as the world's wealthiest person in 2008 and as the third wealthiest in 2015. 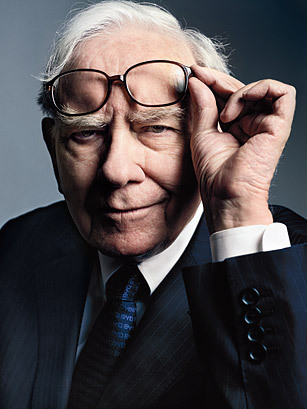 In 2012 Time named Buffett one of the world's most influential people. Buffett is called the "Wizard of Omaha" or "Oracle of Omaha", or the "Sage of Omaha" and is noted for his adherence to value investing and for his personal frugality despite his immense wealth. Buffett is a notable philanthropist, having pledged to give away 99 percent of his fortune to philanthropic causes, primarily via the Gates Foundation. On April 11, 2012, he was diagnosed with prostate cancer, for which he successfully completed treatment in September 2012.